The Los Angeles Times just published a feature on the history of SoCal street racing. It’s not a wistful look back at leather jackets and hot rods. It’s about young kids being killed, lives being wasted and families being destroyed for nothing. 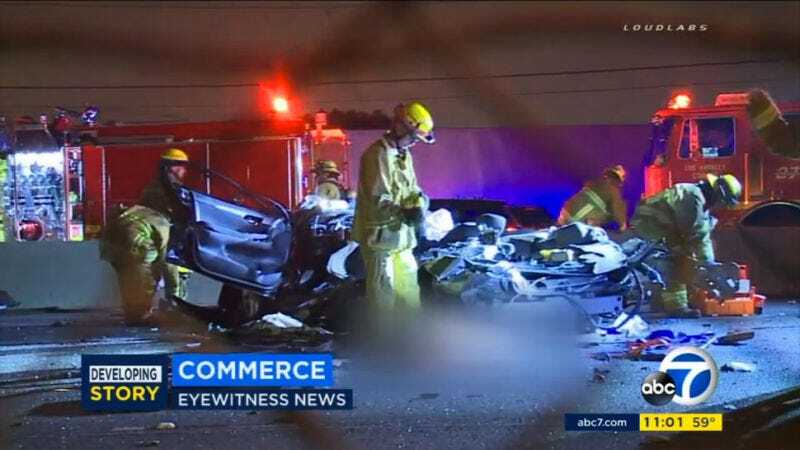 The piece includes a lot of painstakingly researched statistics on how many people have been lost their lives because of LA street racing (at least 179 since the year 2000) and where it takes place around the county. The Times concluded that the deadliest year in the last 17 was ’07, when 18 people were reportedly killed by cars stunting or racing on roads. One of the few law enforcement agencies tracking street racing incidents is the CHP, and it has only been doing so since 2016. From July 2016 to July 2017, the CHP has recorded nearly 700 racing incidents in L.A. County. Those races involved roughly 17,000 vehicles and 22,000 people, according to the CHP data. The data did not include fatalities. But the most impactful pieces of the story are not just numbers. The Times quotes Trujillo D’Alessandro, 53, on the last time she saw her 16-year-old daughter Valentina the morning before she was killed in a street race, riding shotgun in another teenager’s Mustang: “she looked amazingly adorable. I can’t even explain the love I felt in that moment.” Her memory of the moment was vivid, as she described her daughter’s “combat boots and mismatched socks” and “brown hair tucked under a beanie” to the newspaper. As car enthusiasts, we love to drive. As humans, we’re excitable. The drip of adrenaline that starts to flow when two powerful vehicles line up at a stoplight is tantalizing. But the next time you find yourself in that situation, think about Valentina D’Alessandro. And 18-year-old Brian Lewandowski. And 19-year-old Michelle Littlefield. And the hundreds of other people whose mothers will never see them again because somebody deciding having fun driving fast was worth more than their lives.